Real estate and mortgage brokers occasionally work together, helping to keep each other’s respective pipelines full of clients, but now TMG The Mortgage Group and Nu Stream Realty are taking it a step further. 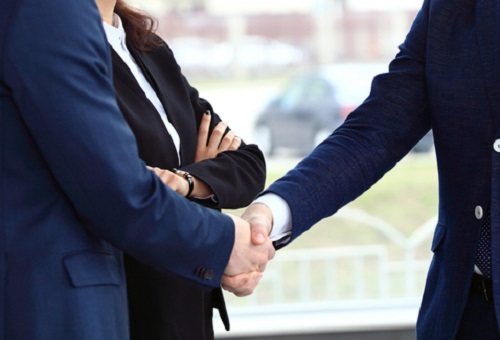 The firms announced a partnership in which TMG will help the real estate brokerage launch and fine tune its mortgage division by sharing administrative, compliance and underwriting acumen. For its part, Nu Stream has been on an impressive growth trajectory since its 2016 inception, having already done $3bln in transactions. Although it mainly operates in the Vancouver and Toronto regions, Nu Stream is reputed among the cities’ Chinese communities, which have reputations for being among the country’s savviest real estate purchasers. While TMG will share its wherewithal and resources with Nu Stream, it hopes to benefit from the latter’s market penetration. “We hope to leverage synergies on both sides,” continued Pultr. “Brokers may be sensitive to realtors, but I don’t think that’s an appropriate viewpoint. Realtors in general are an important partner to us, so with our new partnership we can leverage their distribution in a more meaningful way, and it’s an opportunity to improve upon our marketing ability in another language. They’re very skilled and versed in dealing with the Chinese community, and that’s helpful for us because we don’t have that specific skillset within our management team. Nu Stream, for its part, did its homework searching for an eminent independent brokerage it could partner with. Moreover, that the firms were already familiar with each other certainly helped.